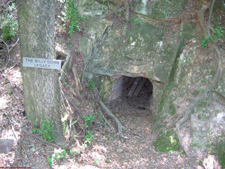 During the 1830's and 1840's small scale gold mining occurred at several areas in South Carolina. This gold was part of a geologic belt containing gold deposits which stretched from North Carolina across the Piedmont into north Georgia. Many times these gold deposits were located directly beneath the surface of the ground and were readily accessible to pick and shovel excavation. the majority of these early mines contained only small quantities of gold, and mining was often a difficult and uneconomical process. One of the most productive of the 19th century South Carolina gold mines was the Dorn Mine. 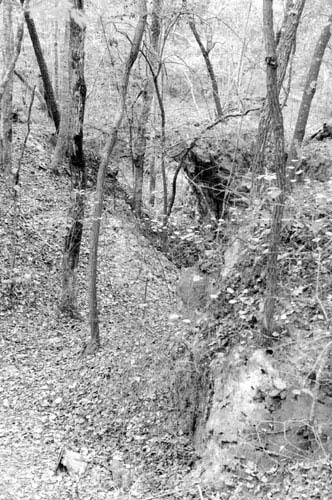 William Dorn, an Edgefield County farmer who became obsessed with gold prospecting in the 1840's, spent many years examining and testing sites in Edgefield and Abbeville counties. In 1850, Dorn became convinced that a rich vein was located on land owned by his neighbor, Dr. John Wardlaw Hearst. Hearst agreed to allow Dorn to look for gold on his land, and Dorn spent the next year prospecting in the area. In February of 1852 Dorn discovered the second richest vein of gold in South Carolina's history. Only the Haile Mine in Lancaster County produced more gold than the Dorn Mine. The vein was located just below the surface. The Dorn Gold Mine is an area of nineteenth century mining operations consisting of horizontal shafts, vertical pits and a larger trench which extends approximately 200 feet. There are no above surface remains of mill buildings which stood at the site. The mine is one of the most important gold mine sites in the state. 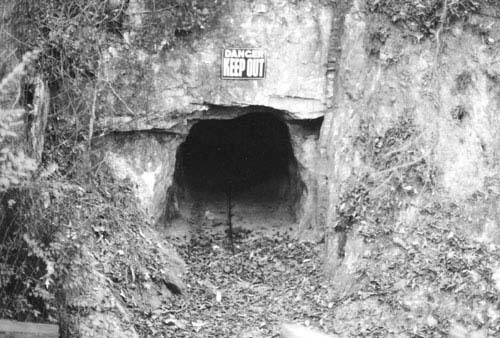 The mine was struck in 1852 by William Dorn, who excavated nearly one million dollars in gold before the vein was exhausted in the late 1850s. Dorn used slaves to excavate the dirt and employed several different types of mills to process the gold. Dorn became a wealthy man but lost much of his fortune after the Civil War. The mine was sold in 1869 to inventor Cyrus McCormick, who spent over $200,000 in a futile search for another rich strike. In 1882 McCormick ceased his search for gold and began selling his land which would become the town of McCormick. Listed in the National Register December 12, 1985. Shafts were dug vertically to whatever depth was needed to locate veins of gold. 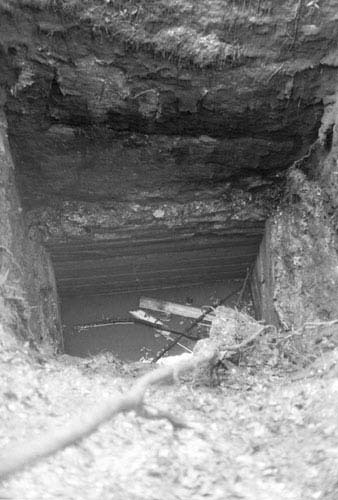 Horizontal tunnels (stopes) were dug to follow the visible veins. Periodically, additional vertical shafts were established for the purpose of providing ventilation and as a source of fresh air for the workers. The excavated rock was transported to mills where the rock was crushed to release the gold for recovery by mechanical or by chemical means. By 1882, McCormick had purchased stock in both the Greenwood and Augusta Railroad and the Savannah Valley Railroad. Through his influence, these two railroads were built to join each other on his land. In 1882 his surveyors platted a community which was given his name. During the 1880's McCormick gradually divested himself of his land, and the community of McCormick increased rapidly in population. McCormick became a rail center for the surrounding area and was a shipping point for timber and cotton. 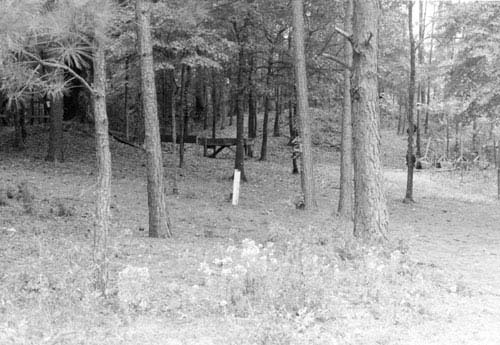 Other areas to the northeast of the original Dorn site were mined in later years for manganese but these areas have become overgrown with brush and are no longer well defined. This activity away from the Dorn site appears to have been responsible, in part, for the preservation of the Dorn site.